Every year, novelist and Fathom contributor Courtney Maum returns to her husband's family home in the village of Lancieux, France, to walk among the wild roses, shuck oysters at the water's edge, and easily avoid the internet. If only we could all have such an escape plan! Follow in her footsteps, and commit these recommendations to memory. BRITTANY, France – With a romantic landscape of frothy inlets, verdant cliffs, and seaside cottages speckled with orange moss and honeysuckle, off-season or in, Brittany's Emerald Coast is the ultimate escape for rest, relaxation, and serious shellfish. The exterior of this modest bakery reveals nothing of the wonders within. The decadent oven-baked fruit and nut bread is served by the kilo, and the fist-size dark chocolate almond clusters make great dinner party gifts. This agricultural cooperative has unbeatable prices on meat, vegetables, fruit, and dairy products. The chestnut and cognac duck paté is a must. Seven days a week, those brave enough to tackle the gusts that sweep determinedly around the nearby lighthouse can sample the best oysters the region has to offer. A dozen oysters, shucked and served with lemon, are an affordable decadence at only five euros, and you can eat them right on the beach. The populace skews clean clad, preppy, and super young, but it's worth pulling out your senior card to have a drink in this nightclub perched perilously on a cliff above the sea. This elegant shop houses body care and candles made by local artisans using Breton ingredients like donkey milk, algae, and orange wheat. If high tea, slightly damp rattan chairs, and striped linens strike your fancy, you'll love the laidback luxury of the Grand Hôtel. 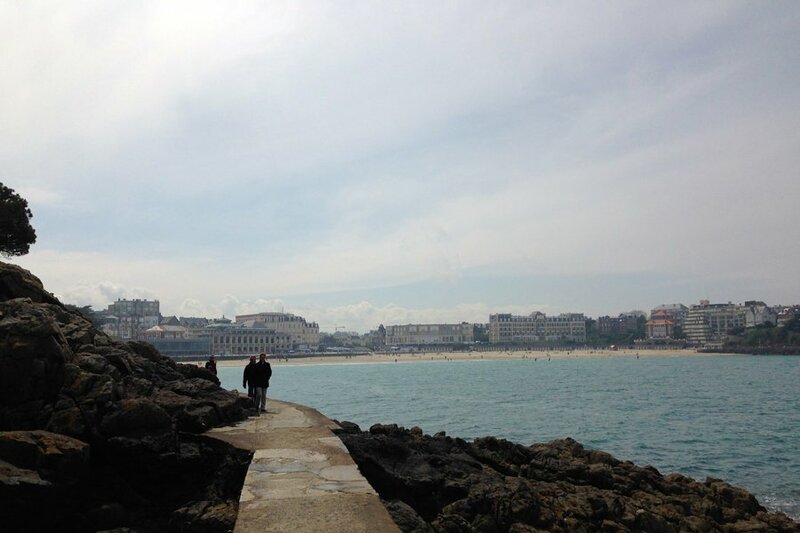 Start your morning with the stunning, cliffside Clair de Lune walk around the port before indulging in a kouign aman in one of the beachside cafés on the grand plage.